MarketGrid offers, for the first time, supremely powerful technology that brings matching; post-trade; surveillance; compliance and tick capture together in one seamless infrastructure. Most commercially available matching systems are built on architectures that are five, ten or even fifteen or more years old, which severely limits their expandability, performance and flexibility. Different functions are designed separately and then pieced together, building in high levels of risk and cost. MarketGrid has been designed from the ground up to be a complete ecosystem. The architecture is parallel and asynchronous, utilising broadcast technology even at the transaction level. This allows for extensive use of multiple processes and multiple threads to achieve unparalleled performance. It has also been architected to be highly configurable with the flexibility to allow customisation with minimal work and minimal risk. MarketGrid has been designed with the philosophy that hardware has advanced to the point where it is virtually unlimited in terms of the processor cores, memory and high-speed I/O that can be deployed in a single box. Such hardware has never been more economical to deploy than it is now and it is likely to become even more so in the future. The MarketGrid matching engine is fast and flexible. It can handle upwards of 190,000 orders per second with latency of less than 4 microseconds on a round-trip. Read more about our matching engine here. 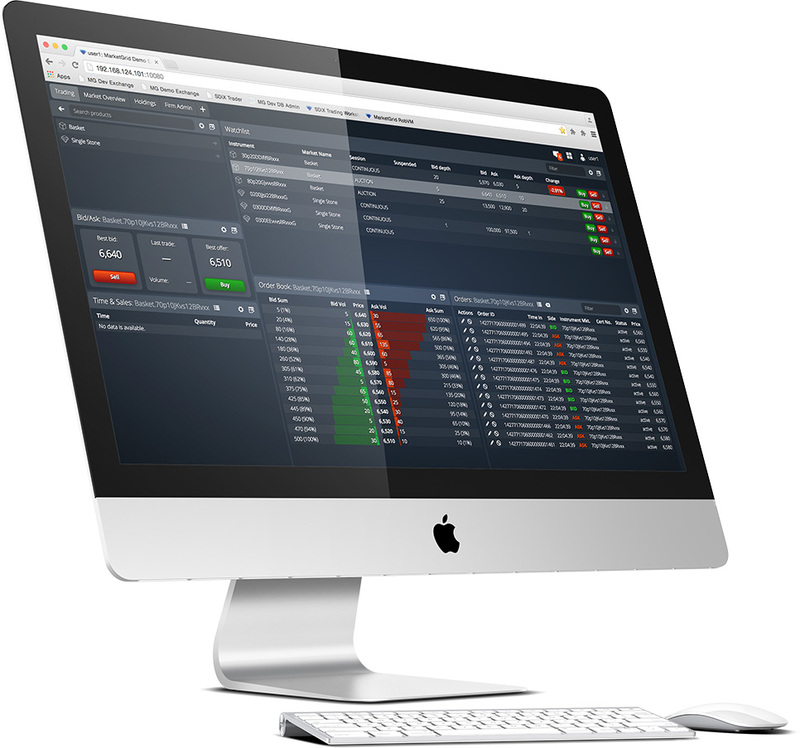 Reporting analytics can be produced in real-time, intra-day and end-of-day across any and all asset classes and participant categories. The complete integration of the matching engine, surveillance and tick capture offers unparalleled performance. MarketGrid surveillance technology can keep pace with the fastest and most sophisticated participants, yielding real-time alerts and analysing issues within minutes. Monitoring market-makers and managing risk is seamless when the technology is completely synchronous with the matching engine. Pre-trade risk controls can be adjusted in real-time, providing the flexibility to move with – and even ahead of – new participants and trading technologies. Integration with kdb+ gives MarketGrid the highest performance database for financial data. It allows us to build powerful support applications around the matching engine without compromising on speed or performance, and powers the precise real-time analysis that defines MarketGrid’s surveillance, compliance and post-trade capabilities.